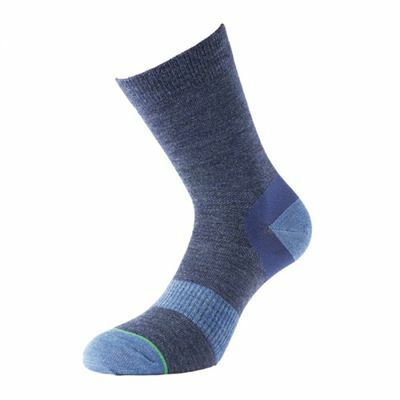 Featuring a special arch bracing providing an additional support for a comfortable fit, the 1000 Mile Approach mens walking socks are a lightweight pick for regular runners who need additional cushioning, as well as seek a fresh and cooling alternative with a highly breathable design. The socks include a double layer structure, where the Tactel® inner layer provides enhanced sweat-wicking properties for a more confident and comfortable walk, and moreover the Heel Power technology prevent socks from coming off during swift and dynamic manoeuvrability, resulting in pleasant and enjoyable walking experience. for submitting product information about 1000 Mile Approach Mens Walking Socks We aim to answer all questions within 2-3 days. for submitting product information about 1000 Mile Approach Mens Walking Socks. We aim to answer all questions within 2-3 days. If you provided your name and email address, we will email you as soon as the answer is published. The best all-round socks I have used. Notably for comfort (can't beat the duel layer - my feet are blister and 'hot spot' free) and wear. These are the third type of 1000 mile socks I have used and probably the best of the lot - more breathable in my opinion. They wash well (haven't noticed any shrinking either). Re: sizing, I am a UK 9 and the 'large' size is a perfect fit. Worth the investment. for submitting product review about 1000 Mile Approach Mens Walking Socks.